Very heavy rain in on the way for Thursday across much of the Midwest. Flash Flood watches have already been issued and rightfully so. 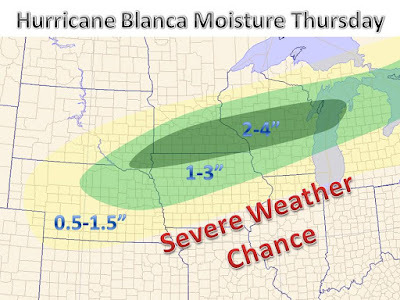 Moisture from Hurricane Blanca (which once made landfall in Mexico) will amplify an area of low pressure that will form over parts of the Great Plains. With a feed of moisture in from the Gulf of Mexico and Blanca's moisture, heavy rain will set up on the north side of the track of low pressure. A large swath of 1-4" will fall, with locally higher amoutns likely. Someone could walk away with near a half of a foot of rain by Friday. These types of totals can cause urban flooding and rising rivers. Be ready to take action if you reside in a low lying area. Meanwhile, severe weather to the south could drop local amounts of heavy rain and strong thunderstorms pass by. 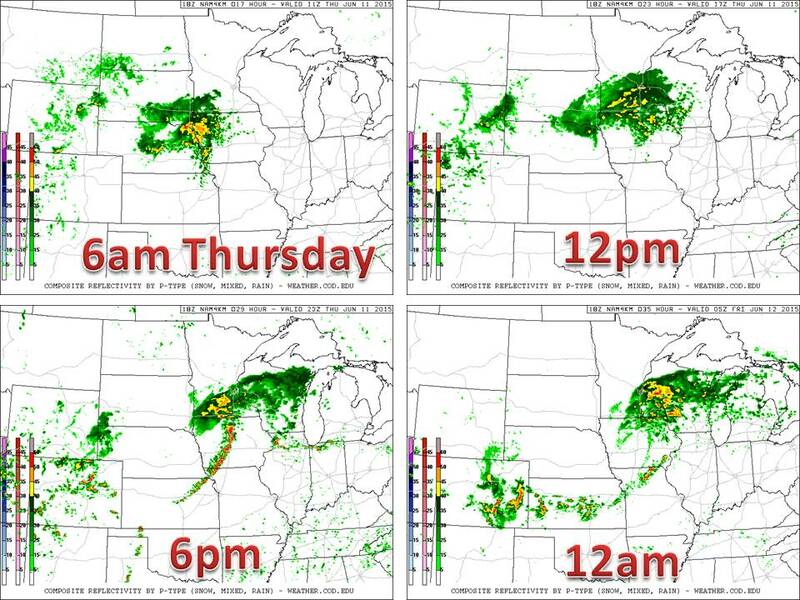 Below is the simulated radar off the 18z NAM Model for Thursday.